Growing tomatoes from cuttings is an effective way to extend your garden without having to purchase store bought plants. They are often rooted by cuttings to preserve precious heirloom varieties that may be damaged by harsh elements. In addition to saving money, growing tomatoes from cuttings will also allow you to share your tomato plants with friends and family and obtain new varieties without having to wait for seed propagation the following year. Tomato cuttings root within a week or so making them perfect for extending your growing season. Taking cuttings in mid-summer will produce tomato plants that can be planted back into the garden and produce abundant tomatoes in the late fall and early winter for warmer climates. It can also be done in cooler climates if grown indoors with very bright light or in a greenhouse. 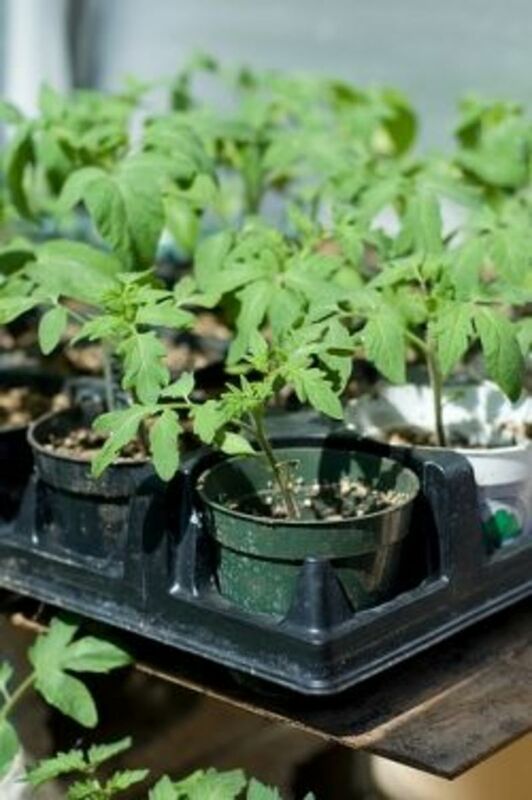 The first step in growing tomatoes from cuttings is to prepare your pots and your soil. It is best to use sterile potting soil to prevent your tender cuttings from being diseased and to insure that all pots have been washed prior to reusing. 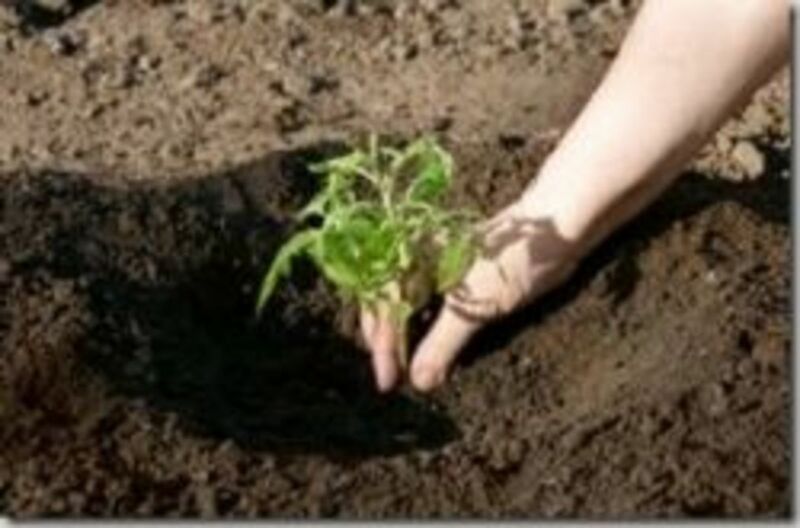 Prepare your soil by filling your pots or trays with soil. Water thoroughly until the water is pouring out the drain holes. Allow the water to drain completely and water again. This will help to prevent air pockets and to settle the soil prior to planting your cuttings. Using a healthy parent plant cuttings can be taken from suckers, shoots between stems and tips cuttings. Suckers and shoots can be 'pinched' out while tips cuttings should be cut from the end of healthy stem using sharp pruning shears. Cuttings should be 4 to 8 inches long and have leaves at the top end. 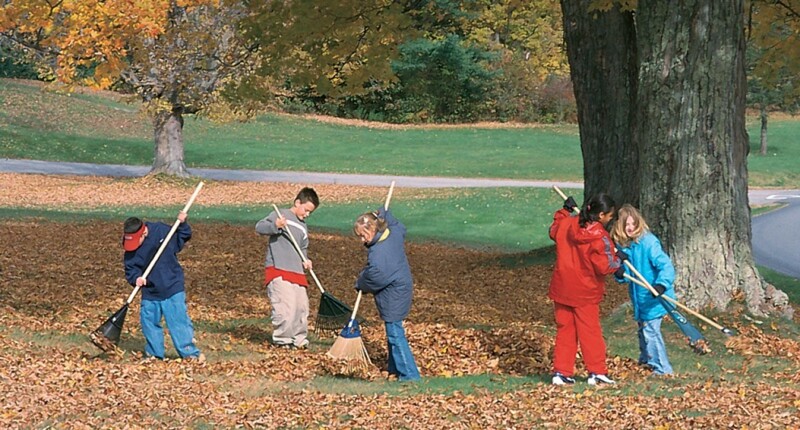 Once cuttings have been taken, gently remove all leaves except for the top two or three. This will help prevent the plant from drying out and using extra energy that could be sent to producing new roots. Notice in the picture all stems and leaves have been cut off except the top few. The stem on the right side was cut as close the main stem as possible with out injuring the stalk. Once your cuttings have been prepared, use a pencil or other small object to make small holes in your pots. Place one cutting in each hole and gently firm the soil around each cutting. Rooting hormone can be used but is not required since tomato cuttings root so easily. 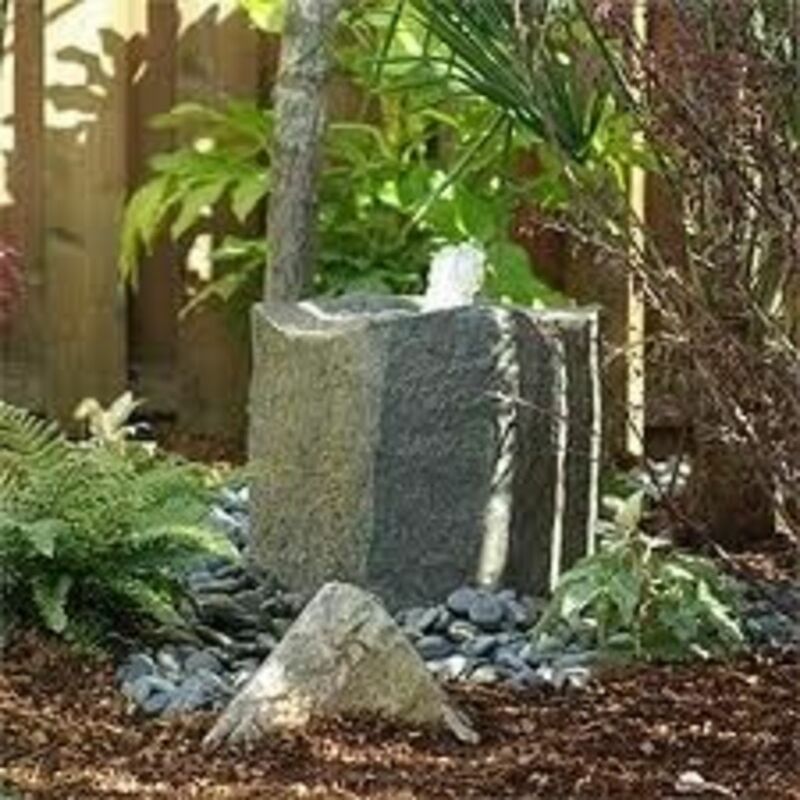 After planting all of your cutting water them thoroughly and allow them to drain completely. Once they have drained move them to a shaded area protected from direct sunlight. Check your tomato cuttings daily until they have rooted. Keep them watered so that the soil in moist but not soggy. The size of your pots and quality of your potting soil will determine how often they need to be watered. Do not pull the cuttings up to check for roots. 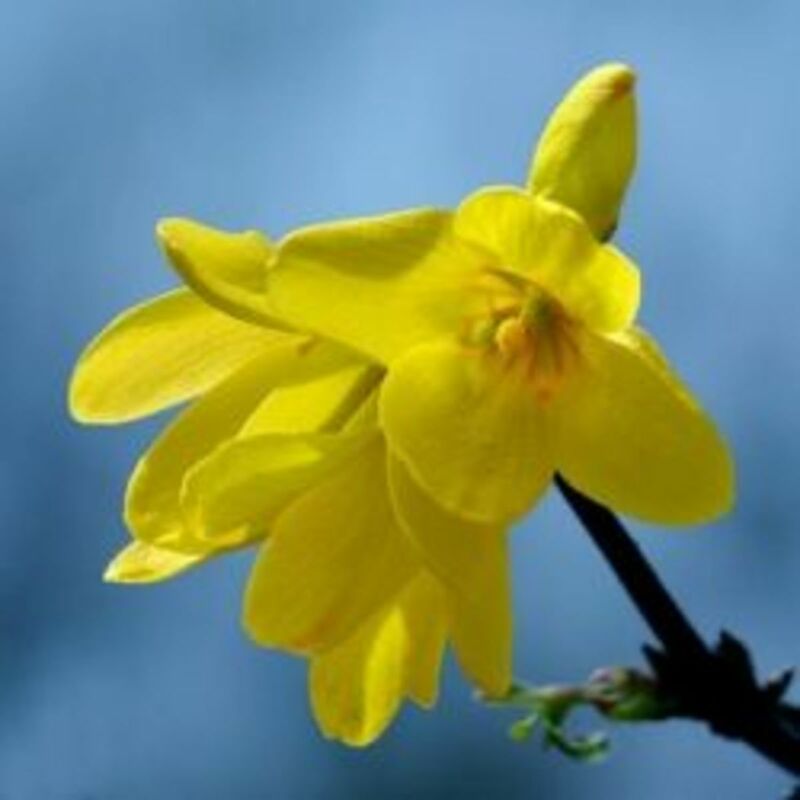 Doing so will tear the tender roots and cause damage or kill the cuttings before they get the chance to thrive. You can give them a gentle tug to see if they feel 'stuck' in the soil. If so that is a good sign they have rooted. The safest way to know whether or not you cuttings have rooted is to wait until new growth emerges. Once new growth emerges you can rest assured your tomato cuttings are now young tomato plants and will soon be ready to be planted out in the garden and start producing tomatoes. About 2 weeks after your tomato cuttings have been planted you can be sure there are roots. Once the roots have established you can then fertilize your new plants using a general purpose fertilizer at half the recommended strength. Two weeks after the initial application you can then begin fertilizing at full strength according to the package directions. Be careful not to over fertilize as it will burn the tomato plants and cause damage. Continue to fertilize throughout the season according the directions. Young tomato plants can be planted out in the garden 3 to 4 weeks after the cuttings are taken. I prefer to wait until they begin to get bushy and put on new height. 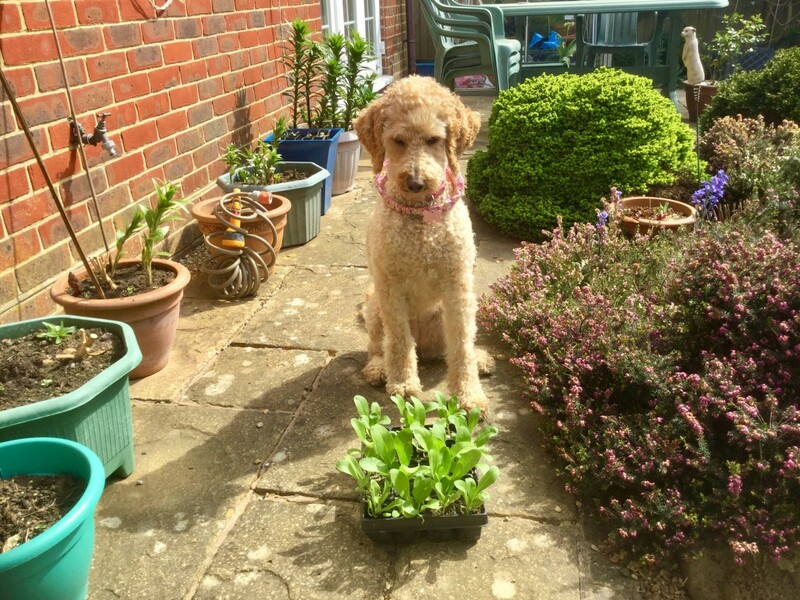 Before planting them out in the garden they need to be hardened off. Introduce them to a few hours of direct sunlight the first day and then continue to increase their amount of time in the sun until they can are able to handle full sun all day long. Be sure to keep plants watered during the process. 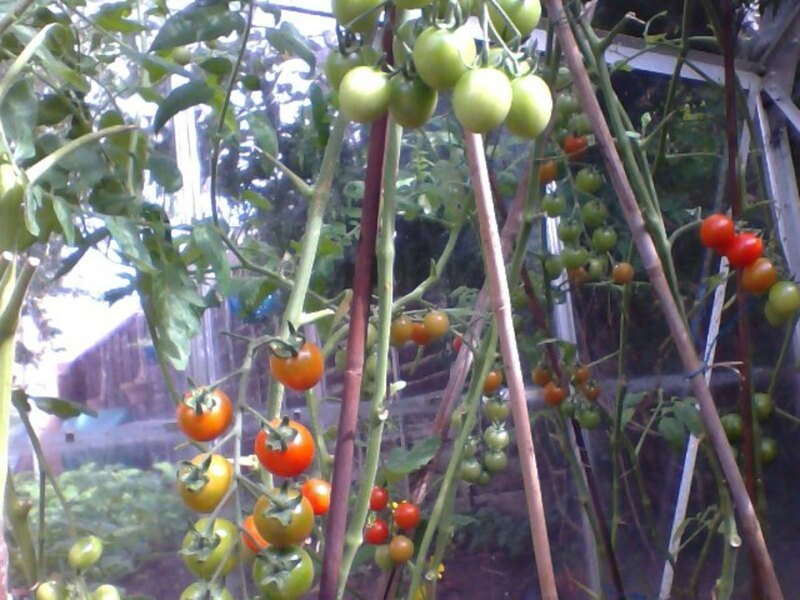 Once the young tomato plants seem to be able to handle the sun all day with no wilting they can then be planted into the garden or into large containers in the sun to begin producing tomatoes. 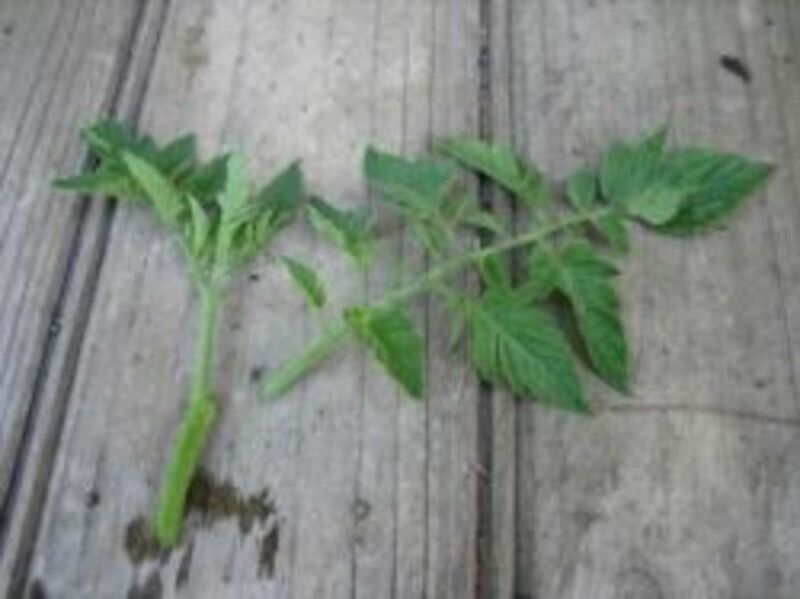 Plant them as you would any other tomato plant and keep them watered well to help reduce shock. 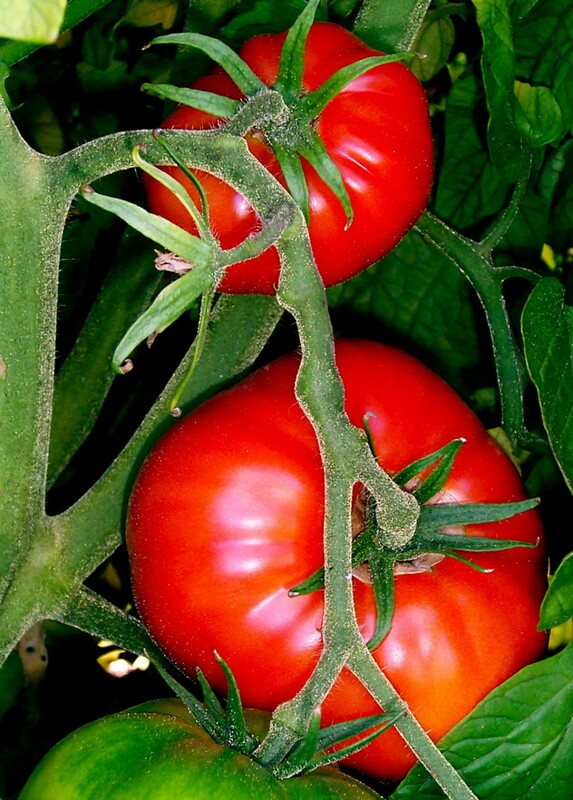 Looking to Learn More About Growing Tomatoes? Here are four great books to help you learn how to grow bigger, better tasting tomatoes! 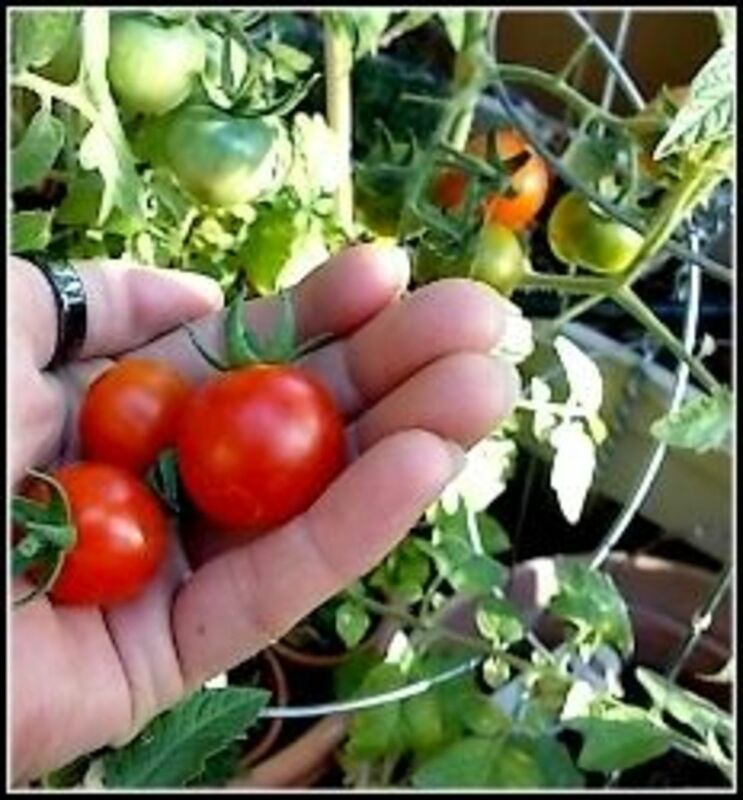 Growing tomatoes is a task anyone can accomplish and enjoy and this book strives to provide every possible resource and tip needed for you to become one of a growing legion of tomato growers. You will learn the fundamental basic aspects of all tomato plants that have helped growers around the world master their craft and create the largest tomatoes around. You will learn the basics of composting and fertilization and what each tomato plant benefits best from. You will learn what kinds of support systems are best for each kind of tomato plant, including the kinds of watering, cages, and nets that your plants might benefit most from. YES! I never knew you could grow tomatoes from cuttings! I am going to try it! Interesting. I didn't know you could grow tomatoes from cuttings. Didn't help me find what I was looking for! Living in Central California it must be possible to grow Tomatoes from Cuttings almost on a year round basis. How long should one leave the Cuttings in the Pots before transplanting? What is the best time of year to perform these transplantings. This is good to all people tips growing tomatoes from cutting. Nope! I've never grown tomatoes from cuttings. I didn't know that you could! I think it's wonderful that you can extend the growing season by doing this. 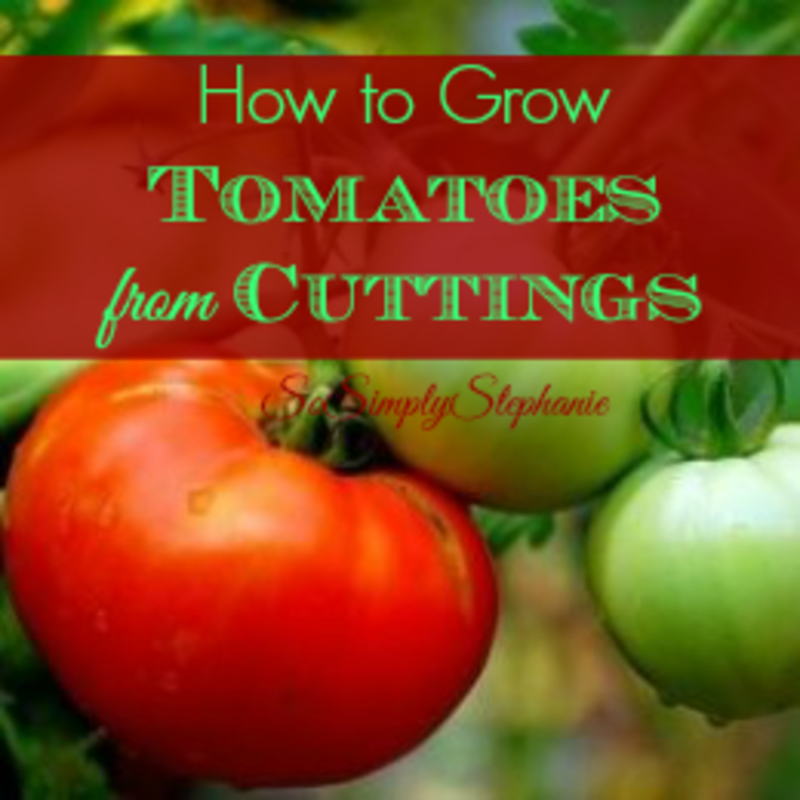 This is fascinating -growing tomatoes from cuttings- thanks for the tips! This is the first year we've planted tomatoes, and we have several plants. A few are getting "leggy" so it seems like these would make great cuttings to root a few more. Thanks for the tips. Again, great lens. I'm going to be taking advantage of this when I go out to prune later this week! Amazing, I grew up on a farm and never knew. We always just bought new plants or started from seed. Does this change the consistency or quality? Squid Angel blessed. @LaraineRoses: Exactly Laraine...I have plenty to give away! @shreeve21: Shreeve you still have plenty of time to do them this year so that you can get a head start and get the feel of it! I am going to try this! Will let you know later in the fall if it worked! @RuralFloridaLiving: Hi Rural. I live in the Panhandle between Pensacola and Panama City. I put mine in the ground around April and then will do Cutting in July to plant a new batch around August since the first round will be about to fizzle out. No, I don't know anyone who has tried this but I'm going to start some cuttings within the next week. We plant tomatoes into the garden in August in Florida, so that should give me enough time to grow some good size bushes. Thanks! I do this too! 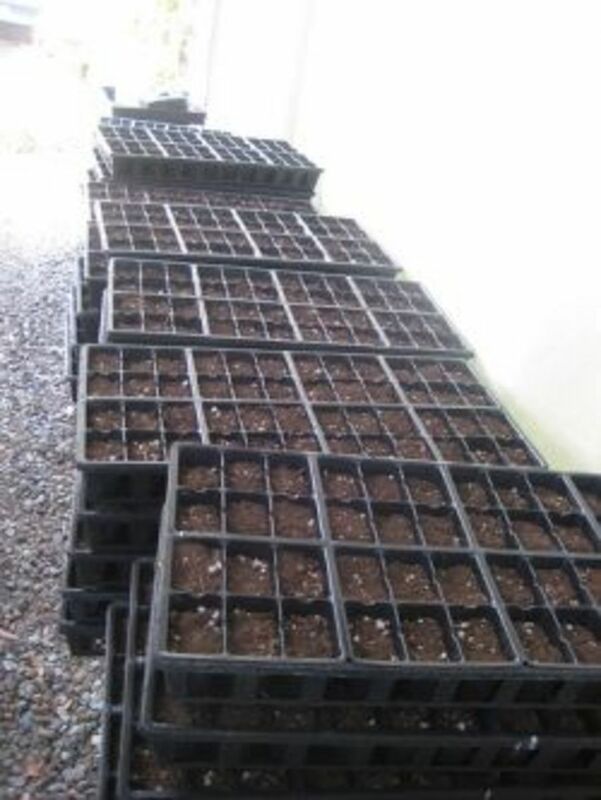 With the 50 plants you said you'll be growing this year can you imagine how much you are going to be saving by not having to buy them at the nursery. Great! Thanks for the tips. I just tried growing two tomato plants this year and have enjoyed the tomatoes. This is great advice on extending the season. Excellent lens - and I am not the only one to think so - wow - the social bookmarking of this is amazing. People really want a chance to have nice tomatoes inexpensively. Pinned to my board "How does your Garden Grow." Hi I do this every year,great way to have more plants.I love gardening. Me too, I will try this, I had no idea you could do this. @anonymous: Cristina, Planting them deeply will but more of the stalk in the soil. Tomatoes root easily so all of the stalk in the ground will become part of the root ball. A nice large root ball will allow it to anchor itself in the ground better helping it to stand up straighter and minimize damage in high winds and storms.